Matrine Treatment Blocks NogoA-Induced Neural Inhibitory Signaling Pathway in Ongoing Experimental Autoimmune Encephalomyelitis. Kan QC, Zhang HJ, Zhang Y, Li X, Xu YM, Thome R, Zhang ML, Liu N, Chu YJ, Zhang GX, Zhu L.
Myelin-associated inhibitors, such as NogoA, myelin-associated glycoprotein (MAG), and oligodendrocyte myelin glycoprotein (OMgp), play a pivotal role in the lack of neuroregeneration in multiple sclerosis, an inflammatory demyelinating disease of the central nervous system (CNS). Matrine (MAT), a monomer that is used in traditional Chinese medicine as an anti-inflammatory agent, has shown beneficial effects in experimental autoimmune encephalomyelitis (EAE), an animal model of MS. However, the underlying mechanisms of MAT-induced EAE amelioration are not fully understood. In the present study, we show that MAT treatment suppressed ongoing EAE, and this effect correlated with an increased expression of growth-associated protein 43, an established marker for axonal regeneration. MAT treatment significantly reduced the levels of NogoA, its receptor complex NgR/p75NTR/LINGO-1, and their downstream RhoA/ROCK signaling pathway in the CNS. In contrast, intracellular cyclic AMP (cAMP) levels and its protein kinase (protein kinase A (PKA)), which can promote axonal regrowth by inactivating the RhoA, were upregulated. Importantly, adding MAT in primary astrocytes in vitro largely induced cAMP/PKA expression, and blockade of cAMP significantly diminished MAT-induced expression of PKA and production of BDNF, a potent neurotrophic factor for neuroregeneration. Taken together, our findings demonstrate that the beneficial effects of MAT on EAE can be attributed not only to its capacity for immunomodulation, but also to its directly promoting regeneration of the injured CNS. and from which Matrine (MAT) is extracted. 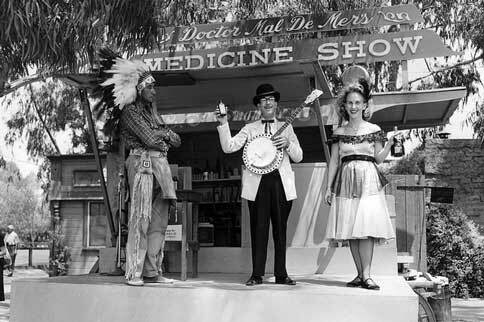 Traditional medicine may on the one hand border the realms of reality, tantamount to Clark Stanley’s snake oil which was sold to many desperate individuals based on marketing hype alone. But in this advanced age can one hide from skillful analytical chemists? That is, one does not simply say “hocus pocus” without including some type of magic! Joining the likes of anti LINGO-1, Kan et al. introduce MAT from the herb Sophora flavescens that is able to inhibit NogoA, and the NgR/p75/LINGO-1 receptor complex, thus promoting CNS neuroregeneration. In fact, blocking at any level on this pathway can potentially result in neuroregeneration. MAT is demonstrated in this paper, as suppressing EAE (mouse model of MS, see figure below) by inhibiting inflammation and reducing the expression of myelin associated inhibitory (MAI) factors such as NogoA. Figure: MAT ameliorates EAE (A). (B) H&E staining for detection of inflammation and LFB staining for demyelination. (D) mean scores of inflammation and (E) demyelination. The only caveat is that the agent is introduced at onset of clinical signs of EAE, which in human terms may be very early on in the disease course of MS. However, it may have an adjunctive role as an add on. I see a clinical trial coming on! I've seen posts on KORs here some year ago here. kappa-Opioid receptor-mediated antinociceptive effects of stereoisomers and derivatives of (+)-matrine in mice. Then I thought about people who take biotin for hair and nail growth. That biotin may improve the keratin infrastructure of hair and nails. And then there's the biotin for MS trials. 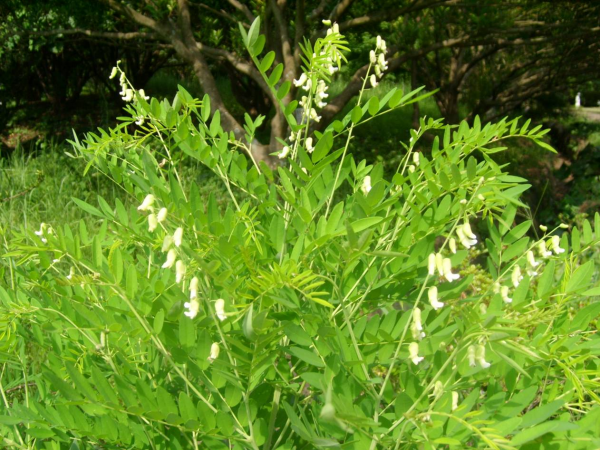 A quick look at other research on Sophora flavescens shows that it may have anti-cancer properties and other compounds from it may inhibit MAO-B i.e. can be used in the treatment of depression, parkinson's etc.